Hi everyone! 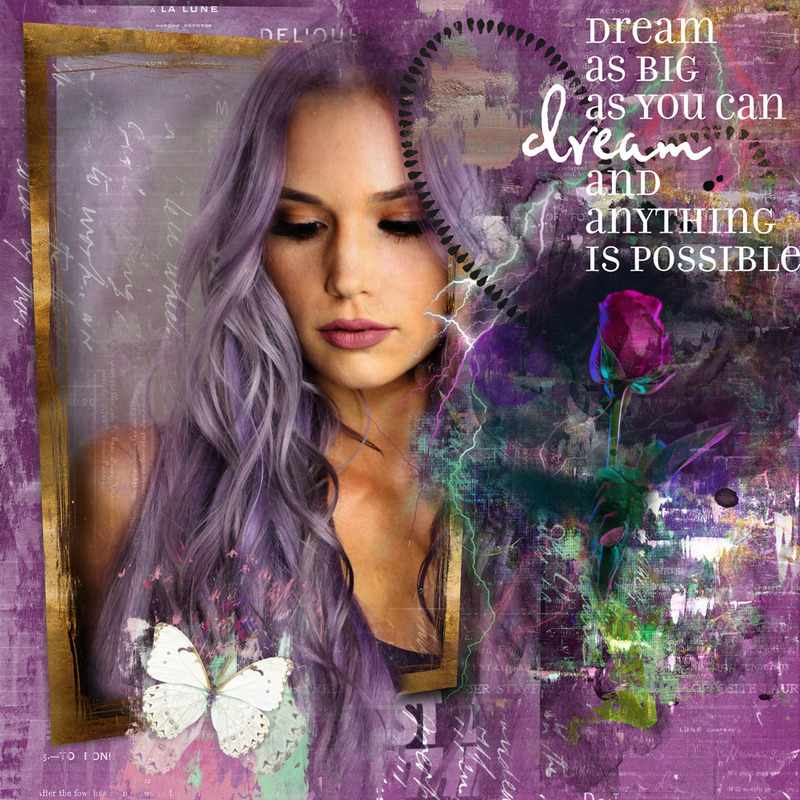 Anne here with a page I made using the Anything Is Possible collection from NBK Design at Oscraps. When I started this layout, the rose was going to be the main focus. I loved how the iridescent colours went so well with the kit. I used a solid paper for the background, then clipped one of the script overlays to it, inverting the overlay (Ctrl + I) to make it white. Then I clipped a mixed media paper to one of the artsy bits & pieces and applied a blend mode. I placed a Loopilalooza, some magic lights, and a word art around the cluster that was developing, but the page still looked a bit ‘off’. 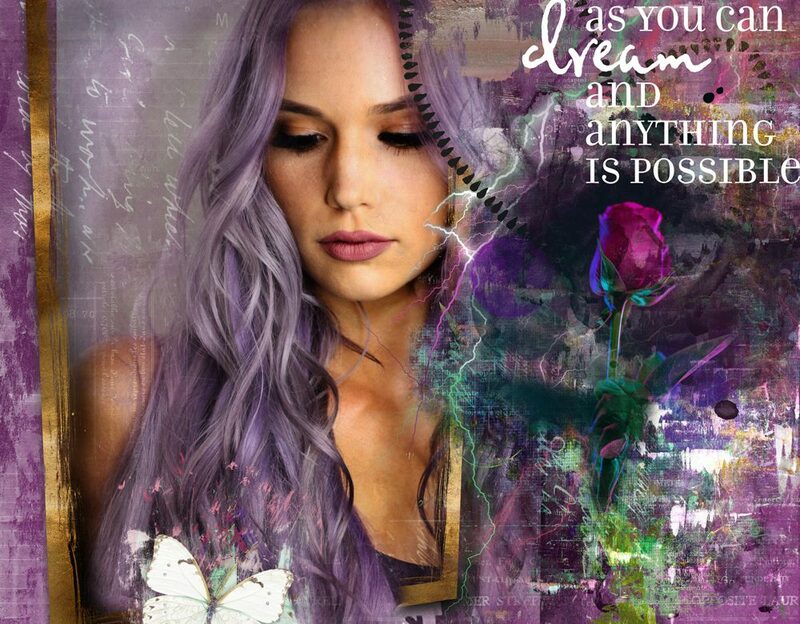 So I searched my stash of stock pics for something else to add, and found the purple-haired girl. This allowed me to use the OOTB frame. I erased parts of the frame so her hair could spill out in various places. Of course this took the focus off the rose, but I was happy with how the page ended up. Products (supplied free of charge by NBK Design) from Anything Is Possible.